Over time, we have all come to associate certain colours with Christmas. We’ve put together a list of 12 colours that we think represent the festive season. So if you want to add some Christmas cheer to your home, whether by painting some walls or just adding some decor, here are the colours you should look for. If we had to choose just one colour to represent Christmas, red would definitely be the one. Red conjures up images of Santa’s red suit and bottomless gift sack, the red berries on holly and Rudolph the reindeer’s nose. And Star Paint, of course. Mistletoe, holly and ivy are all green plants that remind us of Christmas as they are often used as decoration over the Christmas period. Who hasn’t kissed someone underneath the mistletoe? There there is also, of course, the green Christmas tree where you’ll find most families huddled underneath in their homes on 25 December. Green is also a symbol of hope, which is what Christmas is all about. When Baby Jesus was born, it was gold, frankincense and myrrh that the wise men brought to him as gifts. Gold is also the colour traditionally used to depict the star that the wise men followed to find the newborn king. These days, there are many gold stars that adorn the top of Christmas trees. Are you dreaming of a white Christmas? It’s not very likely to occur in the Southern Hemisphere, but the white of snow has come to be associated with Christmas. White also symbolises peace and holiness – key themes of Christmas time. Interestingly, the colour blue is often associated with Mary, mother of Jesus. Apparently, in those times, blue dye or paint was only worn by wealthy, royal families, so Mary was often depicted in blue to indicate her importance. These days, blue baubles adorning a Christmas tree are a common sight. The colour purple traditionally symbolises repentance and fasting when it comes to Christmas. But purple is also quite commonly associated with royalty, so it is used over the Christmas period to point to the sovereignty of Christ. Silver can be used instead of (or with) gold as another “royal” colour symbolising health and wealth. 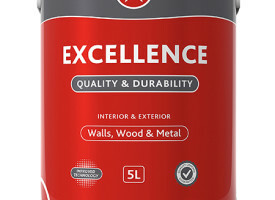 It’s a classic colour that is used a lot in Christmas decorations and wrapping paper. When used with white it creates the effect of sparkling snow – a common association with Christmas time in the Northern Hemisphere. You may think brown is an odd colour to associate with Christmas, but one decor item often used over Christmas is pine cones. Brown kraft paper and twine are wrapping elements that are also being used a lot more for Christmas gifts. Yellow might not be the first colour you associate with Christmas, but that doesn’t mean it isn’t used over Christmas. One can often find yellow Christmas baubles and decorations, as well as yellow ribbon. Black might not be a main colour of Christmas, but it is often used as a complementary colour to red (think of Santa’s belt and boot) and gold (think of a beautifully wrapped gold gift with black ribbon). We predict that bronze will become more prevalent over Christmas time as more people adopt the rustic Christmas theme. Its neutral colour means it works with just about any other colour, especially with its counterparts gold and silver. Pink is in. Yes, even over for Christmas. Pink is a bright, happy colour that works perfectly with silver. Any Christmas tree pops with pink decorations. And that’s our list of 12 colours that we think represent the festive season. How will you be incorporating these 12 colours into your home this Christmas? 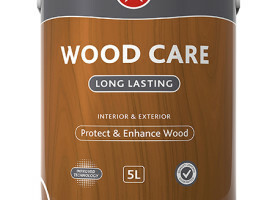 A fresh coat of paint is the easiest, fastest and most affordable way to update your space, change a look and refresh your living area. So "put some colour in your life!" and go for it! Please feel free to contact our Customer Care Line on +268 518 7797 should you have any queries! 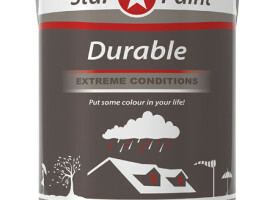 At Star Paint our passion and focus is providing a superior quality product with value and purpose for all our clients. We strive not only to serve our client's needs but to build strong long lasting relationships. 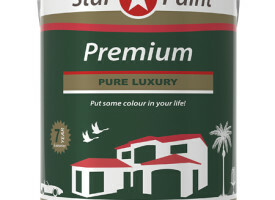 COPYRIGHT STAR PAINT. ALL RIGHTS RESERVED.